Ready for your remodel? Let’s talk. The only local handyman service you’ll ever need. If you own a home, you need a trusted handyman to have at your disposal! Nicassa Handyman Services was created with this need in mind. Home ownership undoubtedly means home repairs and remodeling projects. Whether you need a local handyman to perform a small repair, handle a house maintenance project, or even a remodel…Nicassa is here to turn your vision into a reality. Nicassa Handyman Services is your one-stop shop! Not all home repair contractors are created equal. At Nicassa you can be sure you are getting a trusted handyman service that will get the job done quickly and efficiently. We understand that your time is valuable, and your home is your castle. Our customized project quotes are unique to each of our customers, and every job comes with a warranty to guarantee your satisfaction. With over 18 years experience, Nicassa Handyman Services is a trusted leader in the home improvement industry. "We hired Nic and his partner to do some partially completed drywall work. They installed new drywall, taped and mudded. They were professional and completed it in a timely manner. I would definitely hire them again." "Timely and professional, all for a reasonable price. I would highly recommend Nic for all of your handyman needs." "Nic answered my need immeadiately professionally and reasonably. Very much in tune with needs and concerened with situation. Would definitely recommend him and use him again. His prices were reasonable and he fixed my problems immeadiately." Looking to do a home remodel? We handle that too! 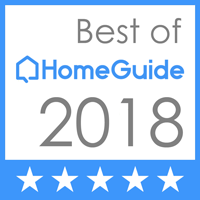 Whether you need flooring, fencing, painting, or even an entire kitchen/bath remodel, Nicassa Handyman Services is the only number you need to remember. We are a member of the BBB (Better Business Bureau), as well as HomeAdvisor, Angie’s List, and Houzz. Our business model is simple…We get the job done right the first time, guarantee our work, and use only the best products for our customers. You never have to worry about the quality workmanship you are receiving with Nicassa. Call today to get a quote for your project!